Port Au Prince, Haiti. Wednesday, June 30, 2010. 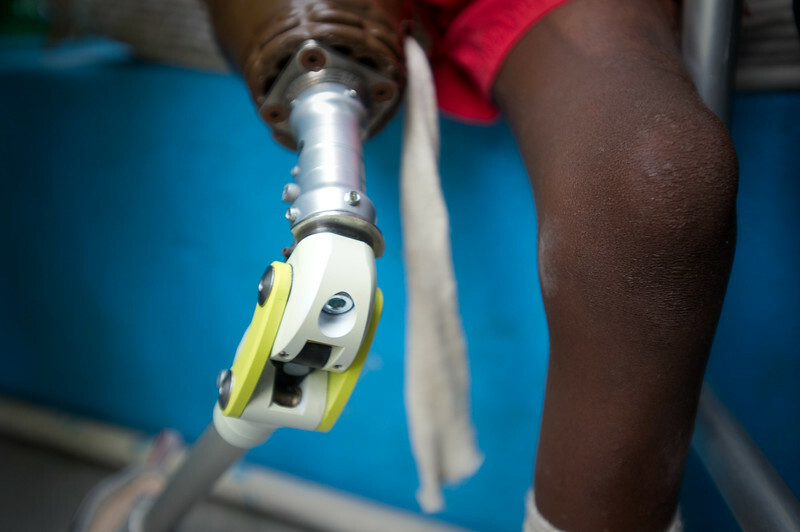 //Mirlanda Pierre, 12, is fitted for a Prosthetic leg at Handicap International in Port Au Prince, Haiti. At left s her father Mirto Pierre and at right is Alex from El Salvador. Mirlanda was pulled from the rubble of a neighbor's house three days after the earthquake. She and her father have been at MSF (Medicine Sans Frontiers) field hospital in Delmas 31 ever since as she sustained injuries which included the loss of her leg and the loss of use of her left hand.